Baltimore Food Hub: $10M campus for food-related businesses, job training planned to open fall 2014 in East Baltimore [DEVELOPMENT] » Technical.ly Baltimore. 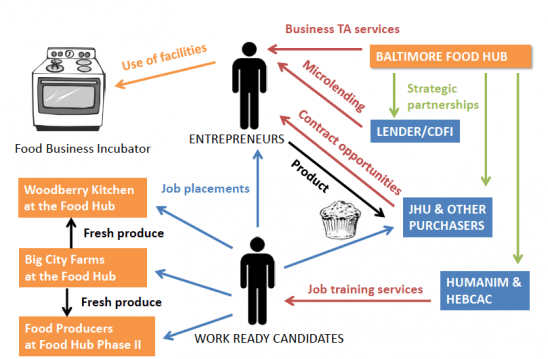 An ambitious $10 million plan from a group of stakeholders looks to develop two main sites for a community food entrepreneurship campus just north of Johns Hopkins Medical Campus in East Baltimore, and to have construction completed and programming and incubation for food-related businesses in place by fall 2014. The effort, called the Baltimore Food Hub, is currently raising the funds through a combination of grants, equity, historic tax credits and new markets tax credits, said American Communities Trust Project Manager Greg Heller. Eastern Pumping Station Site (1801 E. Oliver St.): To be the home of an incubator for food-production/serving businesses, a production kitchen (run by Chef Spike Gjerde of Woodberry Kitchen), food economy job training, a garden center and hoop farms. 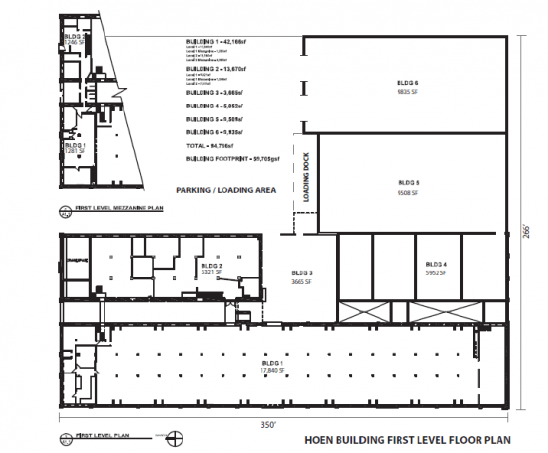 Hoen Site (2010 E. Biddle St.): The location for leasable space for food production companies and food distribution ventures and additional kitchens for incubator clients. Proposed plan for the Eastern Pumping Station, which features kitchen stations for food startups and food truck operators. 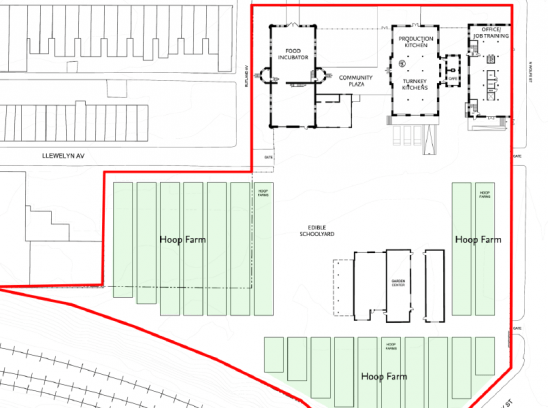 Floor plan for the Hoen Site, which will house leasable space for food production businesses. 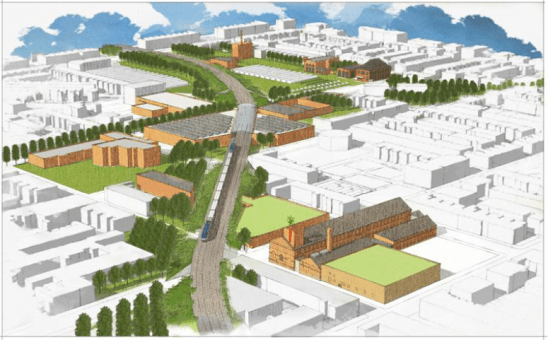 Mock-up of the Food Hub site, with the Amtrak line running adjacent to the campus.